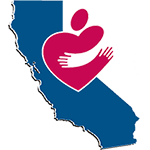 SANTA ROSA, CA – On November 13-15th, 2018, California Community Action Partnership Association (CalCAPA) hosted our annual conference in Santa Rosa, California at the Hyatt Regency Sonoma Wine Country. This three-day event included two sponsors; Community Action Partnership Sonoma providing an off-site tour activity and a networking event, and Mutual of America providing a bronze level sponsorship. Celebrating California’s heritage of “Building Capacity Together,” experts shared the latest information about the roots of poverty; innovative practices; and perspectives of the past, present, and future of Community Action. Alongside federal, state, regional, and local representatives in attendance, the event was kicked off with an opening ceremony featuring Tony McAnelly, Brenda Callahan-Johnson, Jarle Crocker, Linné Stout and an informative keynote led by Dr. Jonathan Fisher, Research Scholar at the Stanford Center on Poverty and Inequality. This conference hosted over 135 registrants from several agencies across California along with 35 presenters who led our well-received sessions, pre-conference, and conference workshops. The number of attendees for the conference grew by 42% over last year. Additionally, this was the first conference hosted by CalCAPA in recent history that turned a profit. The conference provided attendees the rich opportunity to explore relevant updates and issues within Community Action. These were both sessions from the “Energy” track that was added to the conference. Should we continue to offer this educational program it would be valuable to reconsider what topics are included to generate more interest and attendance. We will be working aggressively at having a more robust sponsorship group for our next Annual Conference.